This is merely a starting point for entrepreneurs to gain insight; I encourage you to do your own research, explore other opinions, and reach your own conclusions based on what is right for you and your business. 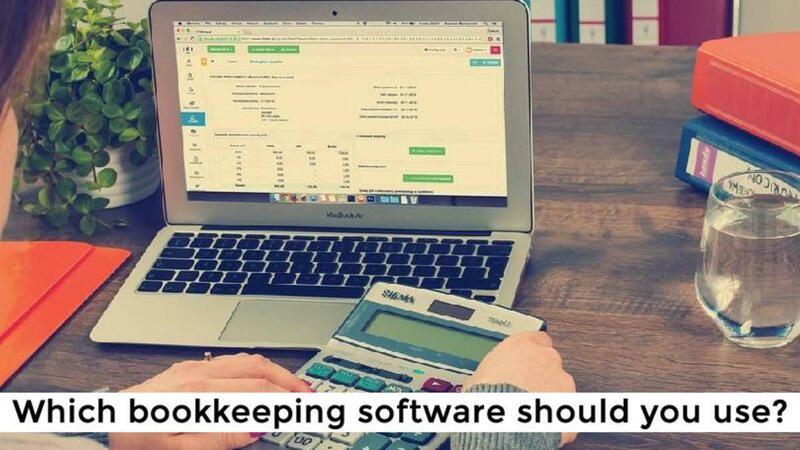 Quickbooks, Sage, Freshbooks, Xero, a good old-fashioned calculator, there is all kinds of technology out there for business bookkeeping. I’m not affiliated with any one of them, nor here to promote one over the other – what works for me personally or doesn’t is really beside the point. I’m talking about the technology in general. The best technology is the one that is right for you. If you want my recommendations, you can read those right at the bottom of this blog. The industry is changing, so rapidly it’s hard for the professionals to stay caught up. People have varying opinions about change; my perspective isn’t the only one. You need to make the decisions that are in your best interest, so use this information as a guide to look into this more deeply and come to your own resolution. You may remember my old caveat: If you ask five different accounting professionals, you will get five different answers. This does not just apply to how they do your books, but also about the software and technology they use (or prefer not to use). In my opinion – based on my professional bookkeeping experience– the technology doesn’t work for everyone. We’re all in business to make money. This is also true of the companies who make the bookkeeping technology we use. Frankly, there’s some spectacular marketing going on there. You may notice that some suggest they’re geared toward certain types of business owners, or types of businesses, or newbies, or even certain applications. It’s really the heart of marketing: I convey my product to you in a way that appeals to your needs, wants, or promises to be super fast or easy…but in most cases, the results are up to you. Have you ever looked up Pintrest fails? Where people post a picture of a gorgeous cake, or makeup job, or craft project, next to a snapshot of how their attempt bombed (and usually a great caption like, “Nailed it”). I’m not insinuating that the claims made aren’t genuine, be it for bookkeeping program or cookware. But they do rely on your ability to use the product accurately, as directed, and as intended. No product is necessarily going to be more lightning fast than any other, for instance, if it relies on your proficiency. There may be small difference, such as fewer fields for entering information, different process involved in the calculation that give it an edge over the competition, but if you’re not that comfortable with the process, or just not that proficient yet, is the advantage really there? The biggest changes in the industry is cloud storage – putting your books online – and the ability to use pictures of your receipts. Cool stuff! Convenient, much less paper to chase, and super secure. It can even categorize your receipts. It’s important to remember, though, that as awesome as that is, your information is just kind of hanging out there. Not all cloud systems for bookkeeping are bookkeeping programs. Someone still has to look at your paperwork, extract the meaning, do the taxes. Make sure those receipts belong in the categories to which they’ve been auto-assigned. For instance: the program puts all your gas station receipts together. But it won’t know what’s on them. Most might be for fuel, but some were cigarettes, candy bars or coffee. There’s no bookkeeper living in the cloud that automatically runs the calculations when you put your information in or separates the items on combined receipts by business or personal. Or take tips into consideration with regards to the GST total on meals. Some receipts involve a more complex allocation that you can’t discuss with the program. In some cases, bookkeeping might actually cost you on top of what you’ve paid for the program. Another consideration is your CRA obligations still stand regardless of the methods use to keep the books. You may be tempted to throw away those paper receipts once they’re uploaded to the cloud. The CRA requires that you keep your receipts – whether digital or physical – for seven years. So, if you go digital and then go out of business or decide to change programs, you’ll still have to pay for that online storage to keep those receipts for those years remaining. You may also find more than one program you like. One that photographs and stores receipts, and one that keeps track of your books, for instance. As you explore what works for you, you may end up spending more because you like certain features of different programs or carry ones you no longer need simply because you need the information stored. Again – it’s about what works best for you, but sometimes that comes with some trial and error. When trying to find the right online programs for you, it could potentially cost you more that simply hiring a bookkeeper would. It may not. This is just to help you make informed choices. As an experience bookkeeper, entrepreneur and teacher of small business owners, I see where the online programs are still new. The tried and true desktop software does everything, whereas some of the online programs are still developing. Other online programs might require paid upgrades. You may not have access to all the features you need for one reason or the other. The biggest consideration of all: there’s a reason that bookkeepers are still around. That it requires higher education, even continuing education. It’s a complicated field of expertise. Many programs send the message that you can do it yourself. For some matters, you absolutely can. But they don’t come with a diploma or certification, and they do rely on input from you. Many business owners do their own books beautifully. You’ve got a lot of choices out there. The important thing is knowing your limitations, areas of comfort-ability, what works for you. Compare your options, weigh the pros and cons before deciding the right system for you: old-school methods, new-school technology, or somewhere in between. I started by saying I wasn't affiliated with programs, and everything to this point is true. The pros/cons you have to weigh are what I have seen based upon working with hundreds of customers. I do have a couple of direct recommendations, though. Before you sign up on the dotted line, know that you are committed once you do. If it goes bad, then expect to pay more tax. It is harder for someone to fix your errors than to just do it themselves in the first place. If you aren't a "numbers" person, then stop doing the numbers in a bookkeeping program. If you want simple, then use simple. I was part of the team that developed DIY EXPENSE TRACKER, which was meant to cater to solopreneurs that didn't want the drama of complicated accounting software. Yes, I promote it. With very good reason.